Each day, you’ll be reminded about why you chose a challenging career in bringing cannabis to healthcare. The work is challenging. The pace is exhilarating. Your colleagues and our customers are inspiring. Unlike any other participant in the cannabis industry today, we are designed as one collaborative organization to keep focus on the big picture. Our integrated approach to bringing new products to market means you will work in sync with colleagues across legal, clinical and commercial disciplines to give guidance and share data, insights and knowledge. Join scientists and leaders in all fields of regulatory and legislative advocacy, biotechnology, healthcare and business who are dedicated to improving consumer lives. At Leading Edge, you will find a company as focused on its internal culture as it is on its external reputation. With its emphasis on “initiative”, culture allows each colleague to discover career success while it drives positive business results. Culture emphasizes accountability and holistic leadership, growth and learning, and opportunity and innovation. Collaborate with Passionate Problem Solvers: Partner with the most diverse team of experts in the industry. From the top down, our people inspire. Everyone has a voice and is encouraged to use it. Be Empowered and Thrive: At Leading Edge, there’s no shortage of challenging work and learning opportunities. Here you can evolve in a growing company that is always looking for ways to work smarter and more efficiently. Overdeliver and Outperform: We challenge the status quo in a highly competitive and ever-changing environment. We are agile and take the initiative to find new solutions that reflect the high-quality standards our customers — and we — expect. Help Change Lives: We take our work seriously. Each day, you’ll contribute to improving consumers lives. It’s powerful and fulfilling work of which you can be proud. At Leading Edge, we apply science and our divisions of resources to bring cannabis products to people that improve their lives. We strive to set the standard for quality, safety and value in the discovery, development and manufacture of cannabis health care products. Our portfolio includes topical medicines and consumer health care products. Every day, Leading Edge colleagues work across developed and emerging markets to advance wellness, prevention and treatments that challenge painful health conditions. Consistent with our responsibility as an innovative cannabis biotechnology company, we collaborate with health care providers, governments and local communities to create, support and expand access to reliable, safe and affordable cannabis health care products. Leading Edge is working to make a difference for all who rely on us. Our Mission: To be the premier innovative cannabis biotechnology company. Our Purpose: Innovate to bring cannabis products to consumers that improve their lives. Leading Edge understands that for prospective colleagues, a company’s internal culture is as important as its external reputation. With its emphasis on “Initiative”, Leading Edge encourages individual colleagues to discover career success while it drives positive business results. Initiative encourages all colleagues to take ownership for their careers and make a positive impact on the business. This means that innovation and new ideas are met with openness and careful consideration, not skepticism and dismissal. It means everyone, no matter what their role, strives for excellence. Leading Edge colleagues take accountability for their work and deliver on their commitments with speed, decisiveness and integrity. Leading Edge’s Initiative culture is about all our colleagues striving to impact results… this month, this quarter, this year and for many years in the future. At Leading Edge is an inclusive space where each individual is able to thrive. Our colleagues inspire each other. We are strategic thinkers of diverse backgrounds and abilities who actively seek and contribute unique viewpoints and perspectives to all aspects of the business, from product development to marketing. We find diverse colleagues offer a more personal understanding of our customers’ needs and concerns. Diverse teams are more collaborative, more accepting of difference, and more apt to embody balance between prudence and risk-taking. 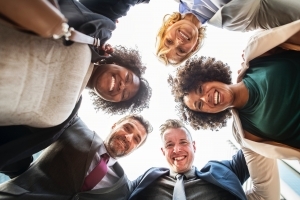 Diverse teams are also more effective in a global environment, a strength that will make Leading Edge a leader in discovering, developing, and marketing innovative cannabis medicines and products to improve the health and quality of our consumers lives. Leading Edge is built on equal opportunity and fair employment practices, as well as a culture that celebrates our spectrum of values and perspectives. At Leading Edge, everyone has a voice and is encouraged to use it. Pay for Performance Philosophy and Practices: Leading Edge structures its compensation policies and practices to recognize that colleagues should be rewarded based on the contributions they make to our business. Benefits to Maintain and Promote Health and Wellness: Leading Edge offers colleagues health and wellness programs that help them maintain and promote optimum health and wellness. These programs can include health and disability insurance, preventative health programs, medical screening, free or reduced-cost vaccinations, discounts on Leading Edge products, and nutrition and fitness counseling. Benefits to Help Colleagues Meet Financial Goals: Leading Edge offers colleagues several benefits to help them meet their financial goals. These programs can include access to colleague-directed retirement funds, company contributions to retirement financial vehicles, life insurance, and financial planning education. Wherever you are on your career path, Leading Edge has opportunities to help you fulfill your goals and reach your destination. Opportunities suitable for new graduates. For experienced professionals. For skilled technicians. For those looking to begin their careers and for those looking to advance theirs. For people who have been employed in the biotechnology industry and for people who can offer insight and experience gained in other industries or with other organizations. Beware of scams from individuals, organizations and Internet sites claiming to represent Leading Edge in recruitment activities. 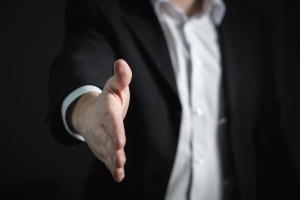 A formal Leading Edger recruitment process is required for all authorized positions posted by Leading Edge prior to issuing an offer of employment. This Leading Edge process includes an interview and never requires payment or fees from job applicants. If you receive a suspicious email message or phone call about recruiting on behalf of Leading Edge, do not provide any personal information or pay any fees. Interested candidates should apply to current openings through this Leading Edge website. Leading Edge accepts no responsibility for any costs or charges incurred as a result of fraudulent activity. Leading Edge does not accept unsolicited resumes from agencies and/or search firms for any job posted on this or a referring site. Without a valid signed search agreement in place for the position listed, Leading Edge will not pay a fee to the agency or search firm in the event that a candidate is hired for a position as a result of an unsolicited agency or search firm referral. Leading Edge is so much more than just a cannabis biotechnology company. Get social with us and see for yourself. Whether you link in with us, friend us, or even tweet, connect and find out about our latest news and the people making it happen.